Adam Kalkin is devoted to pushing the envelope when it comes to home design, and this home certainly does set new boundaries, both for shipping container homes and residential structures in general. 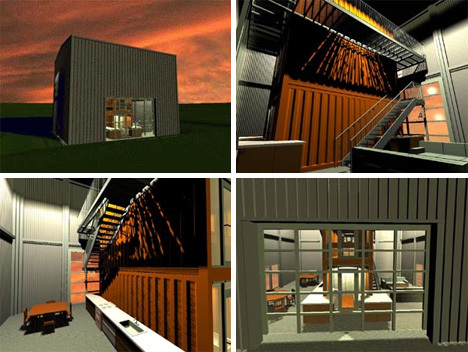 It’s unique because the exterior shell is made of steel, but the interior is divided into rooms with recycled shipping containers. Kalkin finds that the shipping containers provide a textural satisfaction and provide interesting spatial properties that other building materials simply cannot offer, while being strong and affordable.